Service Center All of our automotive technicians at our dealership have years of experience under their belts. They are also factory trained and certified technicians who enjoy their jobs and can adapt to any make or model that visits our dealership. They excel with Toyota but they also are highly adept at understanding every single vehicle brand. It doesn't have to be a Toyota for our technicians to firmly grasp the root of the problem. We carefully evaluate and diagnose every potential issue with the same amount of care and tenacity. Our technicians have a wide range of experiences and can easily assess and troubleshoot issues so you don't have to experience issues while driving. We're very excited to welcome you to the Kerry Toyota service center. Our top priority is always making sure each vehicle that enters our bay receives premium care. We always want you as the customer to also be the recipient of an elite level of customer service. What does that mean? We listen closely to your questions and needs. We are inquisitive about what your goal is with your individual visit. Our dealership has vast experience helping vehicle owners just like you find solutions for their own individual automotive needs. 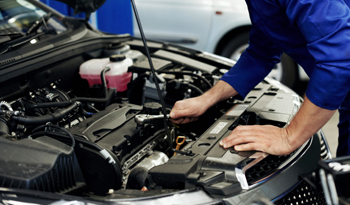 We can perform a variety of auto maintenance and repair services to help you get back on the road in a safe vehicle. Our dealership understands your vehicle is just like any other member of your family. We want to treat it accordingly and make sure you get the optimum results you are expecting. Our dealership will only use the best in quality OEM parts. What does this mean for you? OEM just means Original Equipment Manufacturer parts. 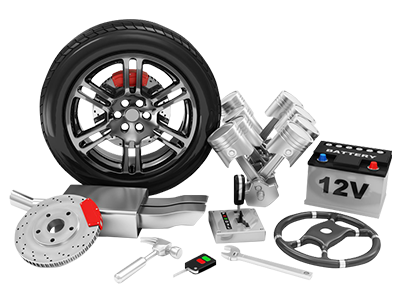 These are the components specifically designed to replace the parts in your vehicle that aren't working properly. This means you aren't getting an aftermarket part that may not fit. You probably have experienced trying to put on parts that just aren't a great fit even though they were much less expensive. That's the benefit of an OEM replacement part. Some aftermarket parts are designed for multiple models and might not be a great solution to your issue. An OEM part is the exact size and basically a replica of the original. Why would you want anything else? It's important to get the elite level of customer service you want and deserve from a dealership. We are here to earn your business from the moment you arrive. We carry that attitude years into the future when we have hopefully built trust and established an amazing relationship with you and your family. We know you need a vehicle that stands the test of time. That's why our service team takes every step possible to keep earning your business every time you walk through our doors. You can schedule an appointment today with our service team. You can call us during regular business hours or just drop by. We'll always answer any questions you have about vehicle service and repair. We'll remind you about check-ups despite your hectic schedule. We're here to help and assist with your automotive needs.